Google AdSense doesn't need some more introductions as we all know that it's one of the highest contextual advertising network that we use to monetize our blogs or websites. But, getting approved AdSense doesn't mean we will start earning miraculously with immediate effect, earning pretty revenue through AdSense really depends on the amount of clicks on the Ads placement on our blog. Apart from adding Adsense gadget in our blog's sidebar, header, footer or below our contents, their is a way to place the Ad in a place which will attracts the visitors' interest to click on the Ads. The basic truth here is that, most visitors on our blogs doesn't have time to scroll down and click on the Ad we place at the footer or the sidebar. Even if they luckily click on the Ad we placed at the header, the numbers of the clicks will be very small. Placing AdSense Ad in the middle of our blog's post will earn us some clicks, as the visitors will be pruned to click on any advertisement banners that they see while reading the post. How Can Place AdSense Ad in The Middle of Your Blogger Posts Without Editing Your Blog's Template? 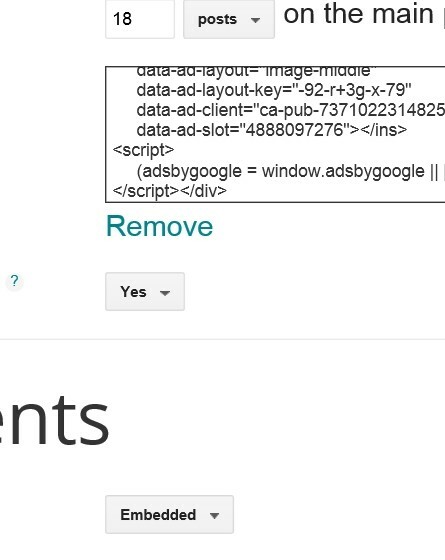 The process of adding AdSense ad in the middle of your post is pretty simple as you will not need to disturb your template (if you are not tech savvy enough). And, most of bloggers outside there are using Mobile phones to blog especially the Blogspot users and, editing or changing anything in your template will be somehow difficult. 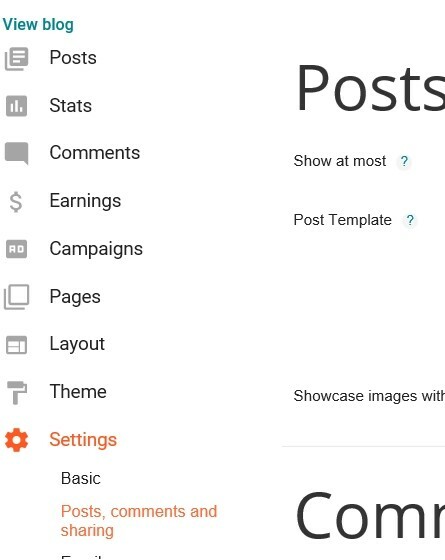 If you are a WordPress user, you need not to worry much about adding AdSense ads in the middle of your post because, AdSense Plugin has made available for you already. Here in this article, I will teach you (With Screenshots illustrations) the easiest method you can use to place AdSense Ad in the middle of your blogspot post. • Before proceeding, note that this tech will only work for your new and future blog posts and, don't try this if you don't have approved Google Adsense account before. STEP 3: On your dashboard, scroll down and Click on Settings. 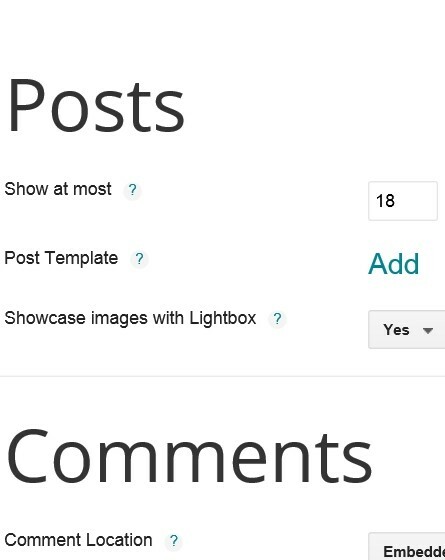 STEP 4: After clicking on "Settings", some sub-settings will drop down, click on the second one and that is "Post, Comments and sharing"
STEP 5: After completing STEP 4, you will see a big something like: "Posts" under it, you will "show at most", "Post Template" and "Showcase Images With Lightbox". 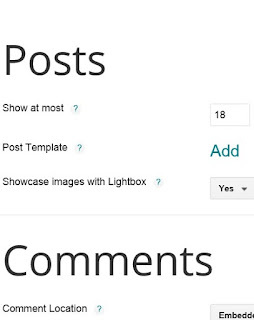 We only need that "Post Template" in this tutorial, right in front "Post Template", click on "Add". STEP 6: After clicking on "Add" in front of the Post template, a blank text-area will show up, in the blank box, input your AdSense ad code or paste it there. 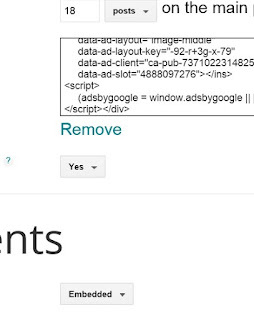 STEP 7: If you have put or paste your AdSense Ad code in the box, scroll to the right angle side where you will save your setting and finally click on "Save Settings". If you have completed all the aligned 7 steps above, congratulation as you have successfully place the Ad code in your blog. But wait; the last thing you will do to confirm all you have done is to publish a post (it can just be a test article). Step 8: Go back to your blogspot dashboard and click on "New Post' normally as you use to do whenever you want to publish a new article. 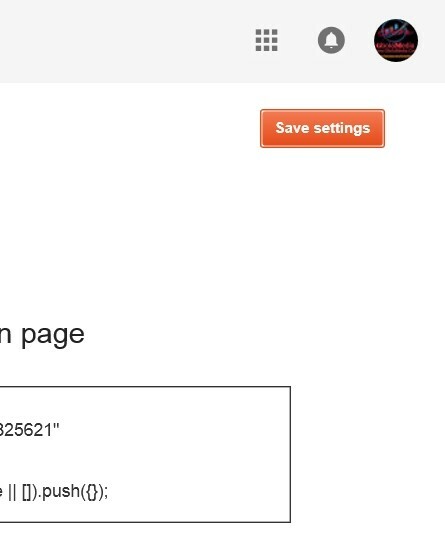 When you get to the publishing page, you will automatically see your AdSense ad code already. 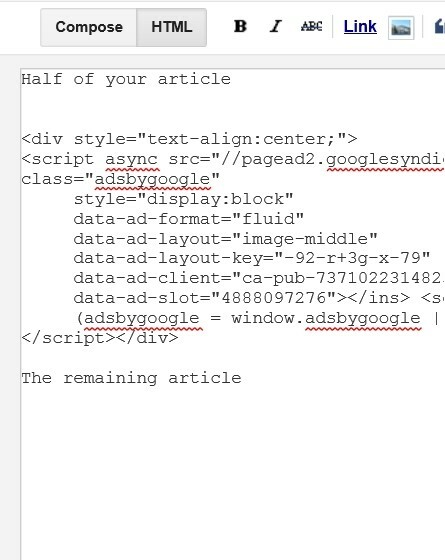 Then, move the Ad code to the middle, write half of your article at the top and the remaining below the AdSense ad code respectively. If you have done that, save and preview your post, You will see AdSense ad appearing in the middle of your post. Continue the process whenever you want to make new post. That's all. Wait, did you think that the eight steps above will also be difficult for you to implement? Their is a way out. For you to place AdSense ad code in the middle of your blogspot post without editing your blog's template or settings is also easy. One thing you need to do is to copy your AdSense ad code in a save notepad on your phone or PC. 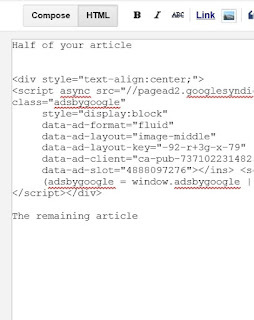 Whenever you want to publish new post, copy the AdSense ad code you have save before and paste in between your post. If you are on mobile, and you needed to place AdSense ad code between your blog's post but you can't edit your template, this article will work for you perfectly. Thanks for your comment ..... We really appreciate your response on how to add AdSense code in the middle of post without tampering one's XML code..
Watch out for more great offers coming soon.